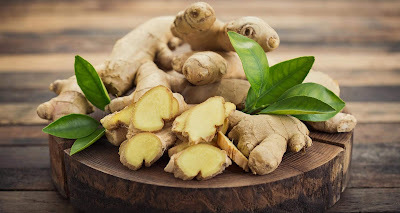 Gather a lot of ginger roots, maybe about 5 to 10 pieces of them, put them in a pot filled with water. Boil them up on the stove for at least 15 minutes or so. Soak a dry and clean towel or cloth on the hot water and wrap it up on the inflamed limb or toe. Once the towel gets cold, soak it up again and repeat the process. You can use this method as often as you like. Just thinking about chewing and sucking raw ginger makes you go “ugh!”. Don’t worry, there are already different brands available of crystallized ginger (ginger that is coated with flavoring or sugar). You can either grab a pack or chew at least 2 to 3 pieces of sliced raw gingers a day. Make it a habit of chewing and sucking the juice of the root during car journeys. You can either buy a pack of ginger teas available in the market or make your own one. Chop and boil the root for 30 minutes or so and then use a filter to separate the bits of it from the ginger boiled water. Pour the boiled water into a cup, you can also either add a teaspoon of honey or sugar if the drink is too bitter. Drink your homemade ginger tea before bedtime since it also helps to make you fall asleep faster. There are a lot of reports that say ginger works really well in treating gout symptoms. Include the root plant in your balanced diet and lifestyle to not only relief gout pain, but to also prevent future attacks.